We finally have some fall/wintery weather happening here in Maryland. Meaning it was 70 degrees around noon yesterday and it was sleeting a bit by 5pm and 35 degrees and is only going to be in the upper 40’s to around 50 all week. We know I’m happily introverted anyway, but to have more reason to get cozy on the couch while the wind is howling outside (which it’s supposed to be doing for the next couple of days) makes me happier. 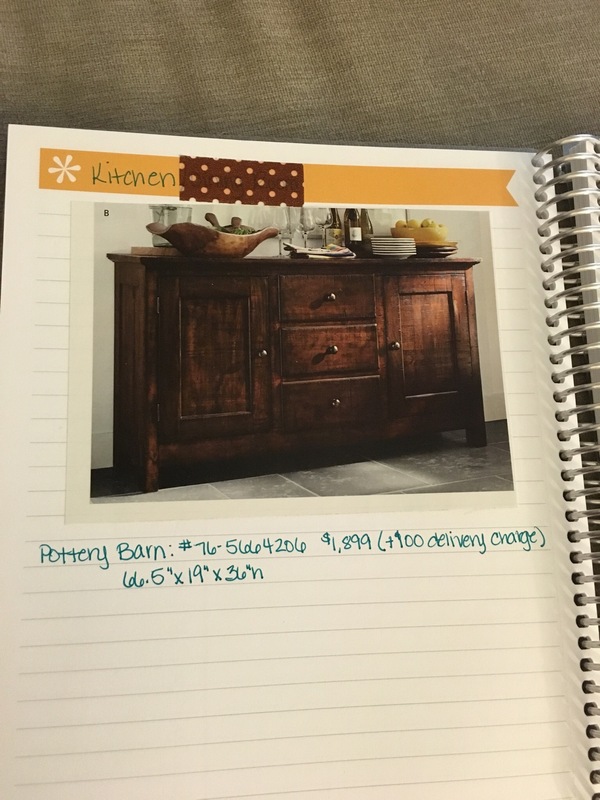 This morning, I cozied up on the couch with my Home Ideas notebook. Granted, I really only do so much in our home right now since we’re only renting an apartment, but I love thinking about how I want to eventually decorate a house (when we’re ready to buy one). 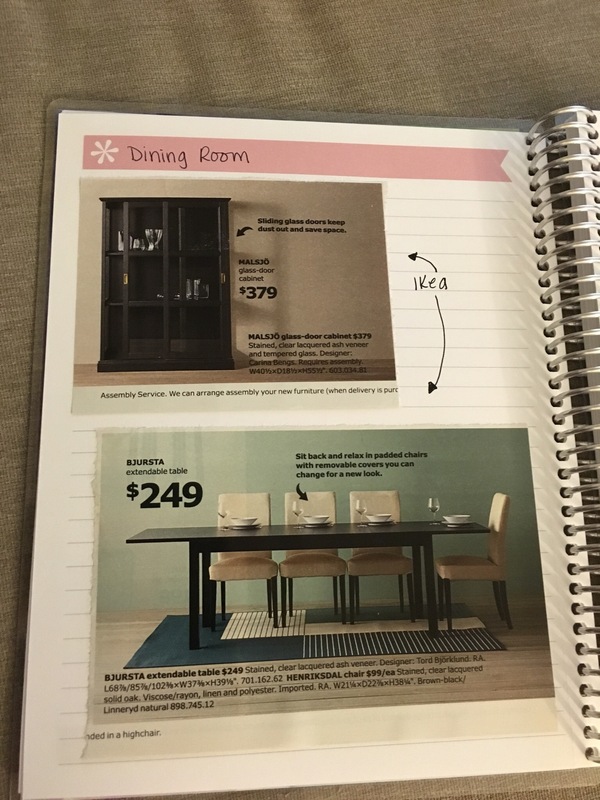 That coupled with the fact that I get a ton of magazines and am apparently on every company’s catalog mailing list, I made a notebook of ideas/furniture that fits with what I want our future house to look like. Now, I’m not the only one that plans for a house they aren’t buying yet, right? I’m not? Good. 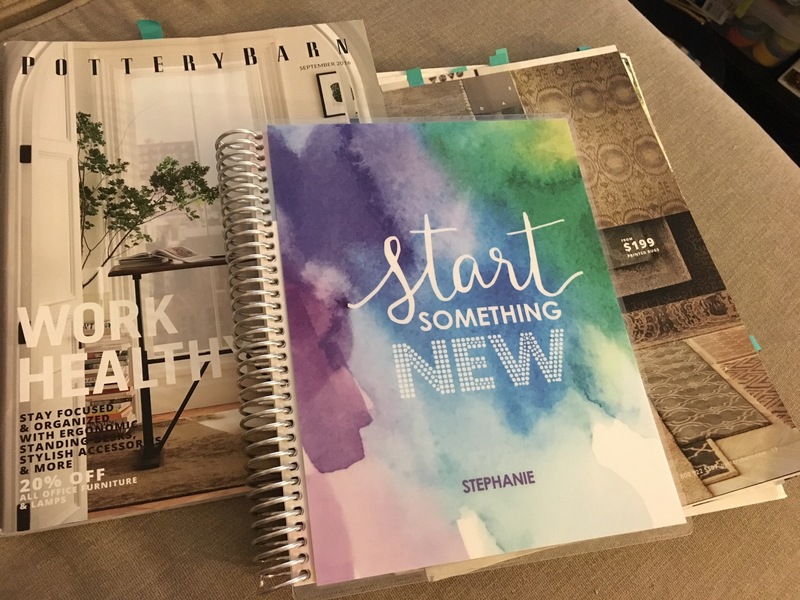 And yes…..that’s an Erin Condren notebook I’m using to keep everything together. This is me after all. I love the cover on it, though. It’s just so appropriate for it’s contents. When I’m reading any catalog or magazine, i usually take a small post-it and flag the page when I find something that I could see matching my style or something that inspires me. This way I can come back to it and possibly clip it for my notebook. As you can see, I do like Pottery Barn even though it’s a liiiiiittle out of my budget range. But it’s a great catalog for inspiration because I love a lot of their pieces. So I may clip a piece of furniture I like in the hopes that I can find something similar to it later. I do this with magazines, too. Like I have subscriptions to Women’s Day and Family Circle and things like that and they sometimes have really cute rooms or decorating ideas in them, so I’ll snip those ideas out and put them in my notebook as well. If it’s a catalog picture, I usually try to get the price and item number from the page this way I may be able to find it online at a later time. I love our little apartment, I really do. It’s comfy and cozy and relaxing, but I do look forward to when I can do personalizing to a home that is “fully” ours and to have more room to do things that I would want to do. Keeping a notebook like this gives me an outlet for all the random ideas I have in my head for later. Does anyone else do a notebook like this?